This eastern European dish is versatile and can be eaten as a salad or cold soup! Wash the cucumber, broccoli and cauliflower florets and greens. Cut / grate the cucumber into strips. Divide cauliflower florets into smaller pieces. Shred greens and remove the rough and hard stems. Cut paneer or the alternative cheese into cubes and add to the cucumber, broccoli, cauliflower, and greens mix. Add the yogurt, water, salt according to taste and combine everything together. 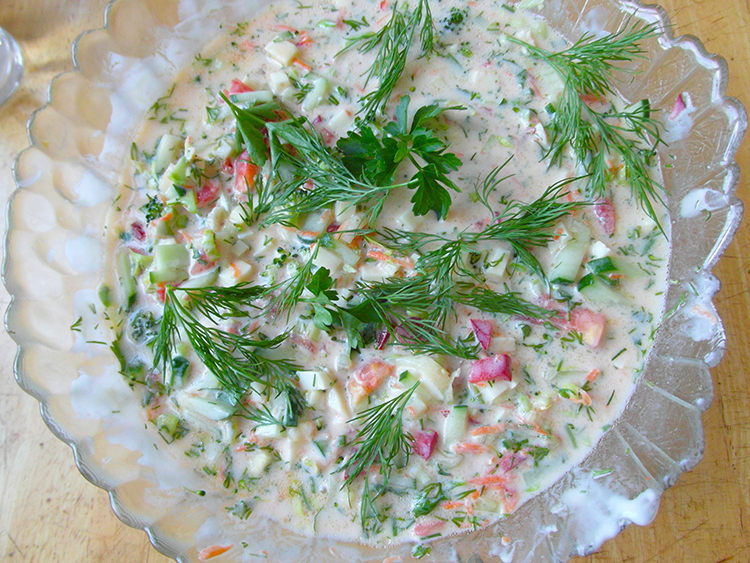 Salad can be served with sour cream or cream to finish.